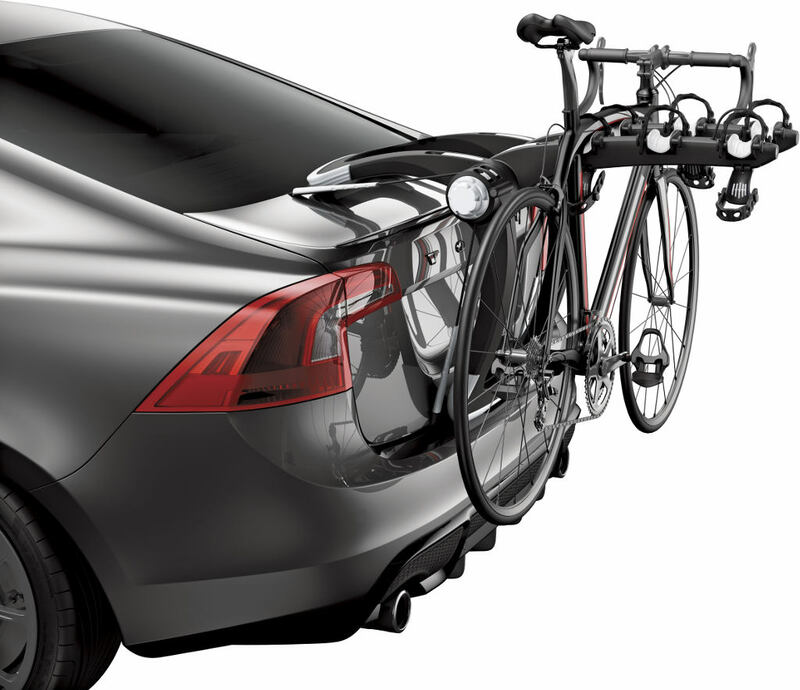 The compact Thule Raceway strap-rack carries either two or three bikes depending on the model, and then folds down for easy storage. The tray-mount design allows for bike loading and unloading at a lower, manageable height, and the telescoping base adjusts to carry a variety of bikes, including children’s. You can choose from a platform model (above) or a more minimalist design (below). Adjustable bike-frame clamps grab each bike at the top tube or seat post, keeping your bicycles separated and secure. The clamps also lock to secure your bikes to the carrier. The Raceway uses Thule’s patented FitDial system to ensure a snug fit on your vehicle and to make installation a snap. Thule Raceway 9001XT (3 bike).